After the floodwaters subsided and people began to assess damages and restore and repair their homes and businesses, it was difficult for folks to find something to be happy about and look forward to while trying to return to their normal routines of everyday life. For the people of Houston, the Astros made that process a little easier. 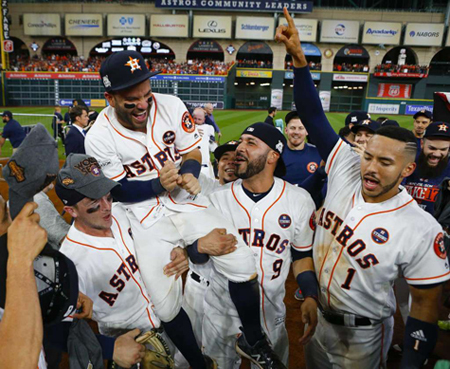 When they win tonight, the Astros will give their fans something to be proud of during hard times. Their trending hashtagable motto is something that, unlike some Californians, Texans agree upon and understand. Nothing in this life worth having will be handed to you. If you want to be great and make it, you’ve got to #EarnHistory.